The Power & Utilities industry is subject to a massive transition towards distributed clean energy and smart decentralisation of the grid. 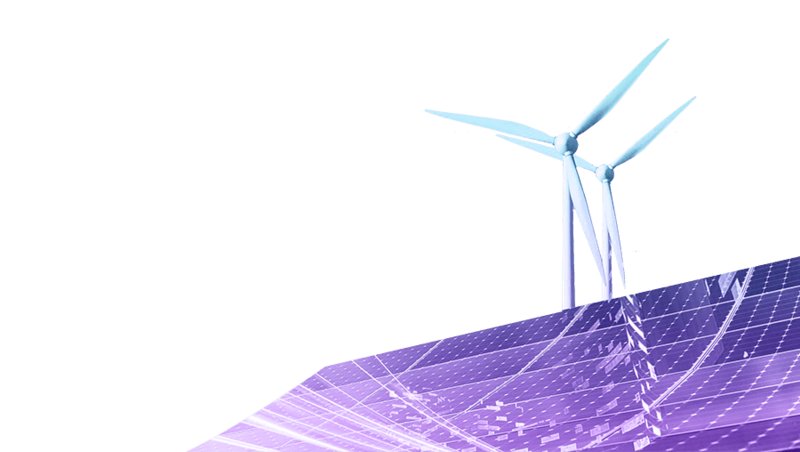 Blockchain entered the Energy industry in 2016 to enable the exploration of decentralised energy systems. Today, the lack of scalability of the technology brings stakeholders to explore alternative Distributed Ledger Technologies beyond the conventional Blockchain. The IOTA Tangle is a scalable and zero fee secure communication and transaction protocol. The IOTA Foundation develops the Tangle as a new standard for and together with the Industry. 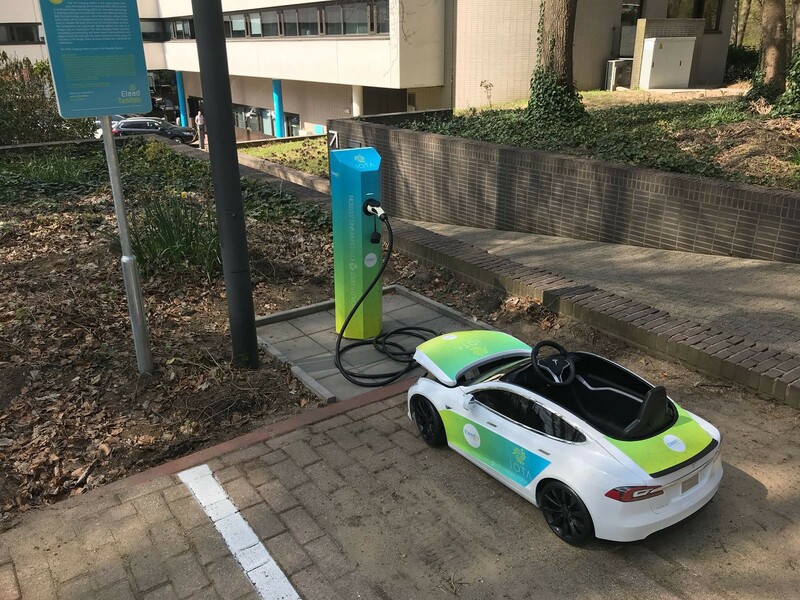 Since 2017, IOTA and ElaadNL, a consortium of leading Dutch grid companies, have cooperated on the development of an IOTA smart charging solution and prototype. Special hardware in the charge station establishes a TCP/IP connection with the car so that payments and data exchange can happen fully autonomously Machine-2-Machine. The car-to-charger connection is established with the charging cable and special hardware that is also used on the newly developed e-Mobility ISO 15118 communication protocol. The IOTA charger is already available to the public for charging. For cars not equipped with the required hardware and software, they can still simply charge their car by sending IOTA tokens directly to the charger using a normal IOTA wallet app from their phone. This opens up a whole new set of use cases, such as automatically incentivizing actors in the system to behave in a certain way. For example, with IOTA, people can be incentived to provide energy to the grid from their vehicles (discharging the car) when the grid has too much demand and needs more supply. Conversely, people can be automatically incentivized to charge their cars during times of surplus supply and weak demand. 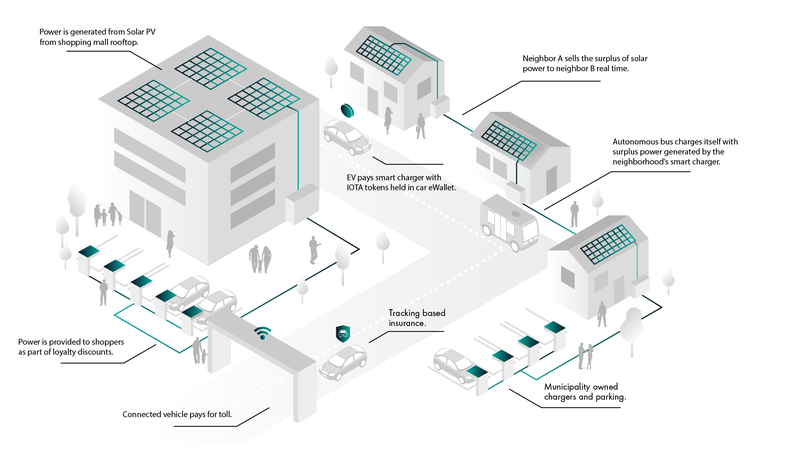 IOTA is involved in the various parts of the smart energy ecosystem: smart charging, smart mobility, smart buildings which together shape the key components of smart cities. The smart charger prototype presented above is now being further developed by ElaadNL and will be demonstrated as part of the smart energy community. A first test bed site is already underway in the Nordics. In remote locations or emerging countries, it is more economical and faster to leapfrog legacy electric grids with their costly centralised power generation and transmission to a distributed local demand model and instead deploy smart offgrid systems. 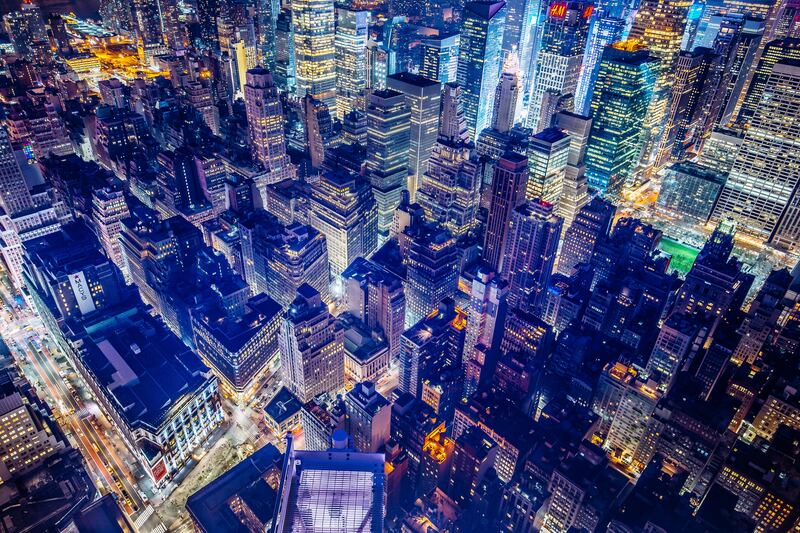 By going fully digital, smart energy communities can become self-sufficient and grow into transactive smart grids backed by innovative financial models. These connected economic clusters can grow exponentially from within without depending on, and waiting for, centralised infrastructure to be deployed.